As an industry leading cannabis recruiting company, Mac & Fulton Talent Partners have an expert understanding of trends related to cannabis jobs. Over the course of every work week, we consistently engage both applicants and hiring companies in the cannabis industry. With this experience, we see patterns unfold that stifle the hiring process. In turn, some of these patterns keep qualified candidates from acquiring cannabis industry employment. A major hinderance faced by employers has to do with cannabis job durations in an applicant’s work history. To illustrate, when a hiring company is viewing your resume, they are looking for things of value to their business. Of these things, a stable employee that is willing to “stick it out in the long run” is a huge asset. As such, if your work history has cannabis job durations of 6-12 months, many employers will assume you are “job hopping” and always looking for the next best thing. Similarly, having worked 4-5 cannabis or hemp jobs over the past 5 years also makes your intentions with a new company suspect. That being said, employers like to see that marijuana resumes reflect more dedication by applicants. The cannabis industry presents an extremely unique work environment. Namely because, the entire industry is comprised of startup businesses. As such, the cannabis job market presents challenges to employers and employees not seen in “more traditional” forms of business. The cannabis industry is plagued by short work durations. To illustrate, it is extremely rare that people stay at a job for more than a year. Unfortunately, we are seeing that the volatile, startup nature of the cannabis industry puts pressures on both employers and employees. This pressure often causes the parties to split ways. On the part of employers, they often don’t have compensation packages commensurate to an employee’s worth. This factor can also cause the employee to leave. In like fashion, cannabis businesses are sometimes unstructured and disorganized to the point of disfunction. All these factors contribute to the systemic “job hopping” seen in the cannabis industry today. As can be seen, there are several factors at play that influence the short work durations seen across the cannabis industry today. Unfortunately for those working in cannabis, many of these influences are out of one’s control. However, there are a few steps that can be taken to ensure more stability in your work history and career. If you are looking to work in the cannabis space, or switch career paths within the industry, be sure that you thoroughly vet your employer. Also, be sure that you are taking a job that you will enjoy in the long run. People understand that it is not always “the employee’s fault” that a job doesn’t work out. However, real career progression depends on a work history that is attractive across the industry. Taking these preventative measures will ensure that you have cannabis job you can be proud of. They will also ensure that you are in a place to advance your career. If you would like some additional guidance in developing a career in the cannabis industry, please talk to us about our Cannabis Resume Writing Service. 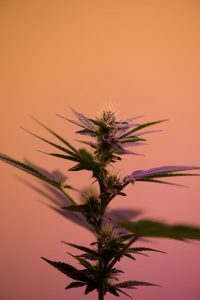 This article appeared on Grower’s Network in October 2018.